Are you afraid of the dark?…Or are you into the Knight?… For Moon Knight fans, old and new! Nothing left is sacred…come listen to the podcast …let us be the voices in YOUR head! 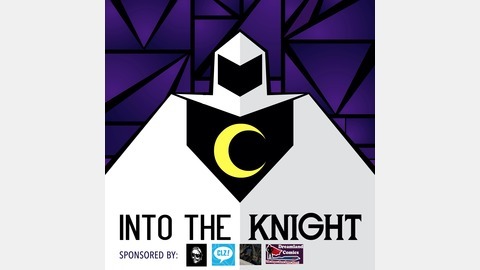 Episode 94 - MOON & STARS: Moon Knight Script Unearthed! A very special guest heralds his arrival to the doorstep of the Grant Mansion - it's host, impressionist and omega level Loony, Anthony Sytko from Capes on the Couch - Where Comics Get Counselling! 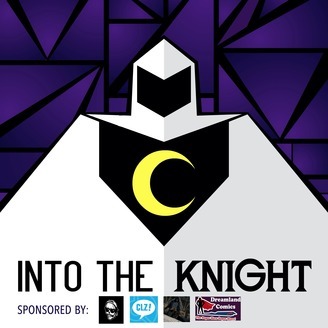 High Priest of Khonshu Rey has a chat with Anthony about his love for Moon Knight but also the pair go through a run down of Anthony's synopses and full film script for a Moon Knight Film!! Khonshu's bearing Eye is cast down for all to see and with a Full Moon in the sky, ITK are bound to review all things film...Anthony's script is ripe for the picking - but it's also a good excuse to have a yarn with one of podcasting's nicest blokes!! Episode 91 - AVATARS of VENGEANCE: Ultimate Alliance Launches! Episode 90 - ISLA RA SESSIONS - "Malebolgia is my good mate.."